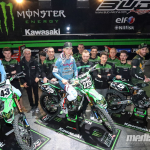 As every year team Monster Bud Racing Kawasaki moved to the Paris Supercross with a strong line up, as this event is the main one in Europe. 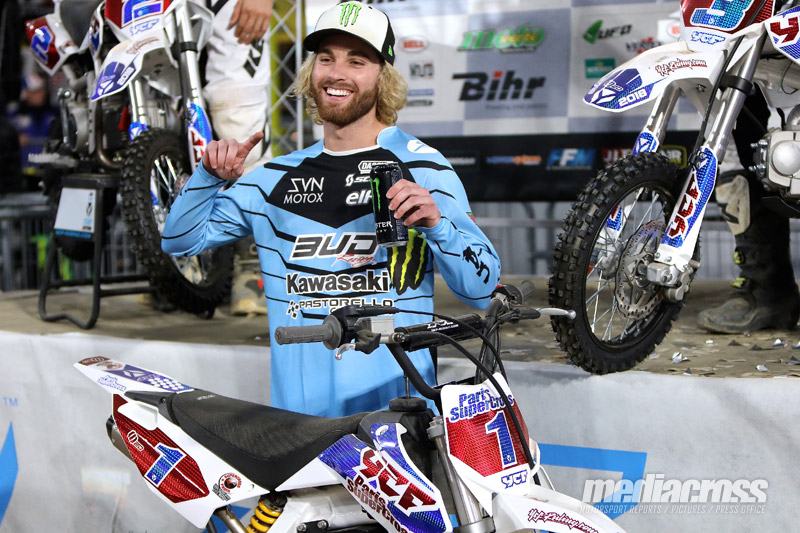 Wearing for the first time the colours of the team American Jace Owen was impressive, as he won both days of racing to become the new ‘Prince of Paris’ while Brian Moreau took a sixth overall. 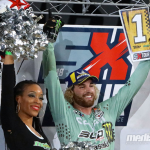 It’s a tradition for the team to invite an American rider to race in Paris, and for his first visit to the French capital Jace Owen didn’t missed this opportunity to shine as he dominates the SX2 class. 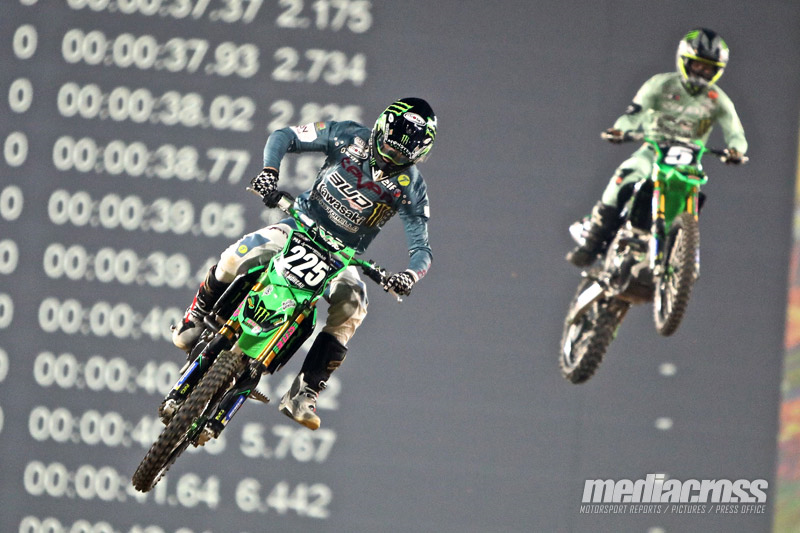 Discovering the track and his 250 Kawasaki BUD during the practice session, Jace got a perfect start in the first heat to celebrate his first success of the weekend; runner up in the second race, Jace got another holeshot in the main event and led the entire race to win the first night in Paris. 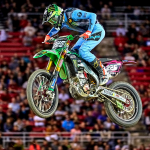 Fastest rider on the track in the practice session on Sunday Jace started with a second position in the first race, won the second and dominates the main event as he led the race during eleven laps; then he secured his overall win and the ‘Prince of Paris’ title with a second position. 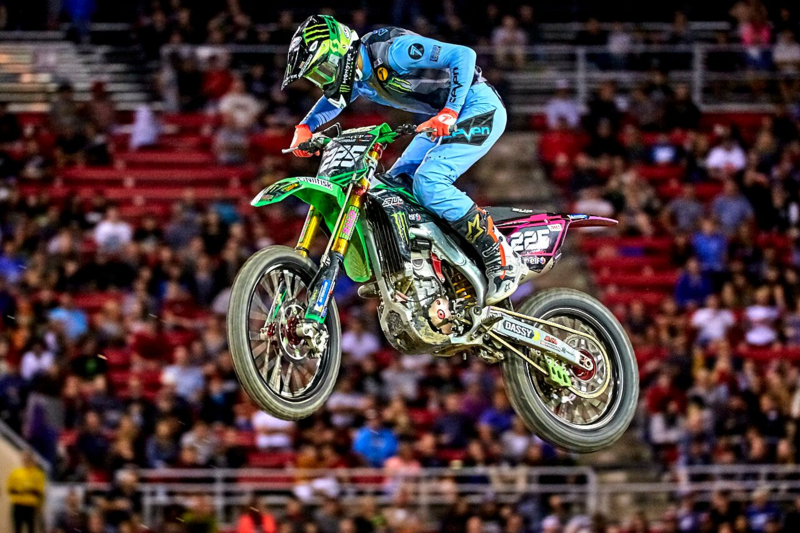 After a brilliant race at the Monster Cup one month ago, Brian Moreau show again his skills in Supercross during this event. 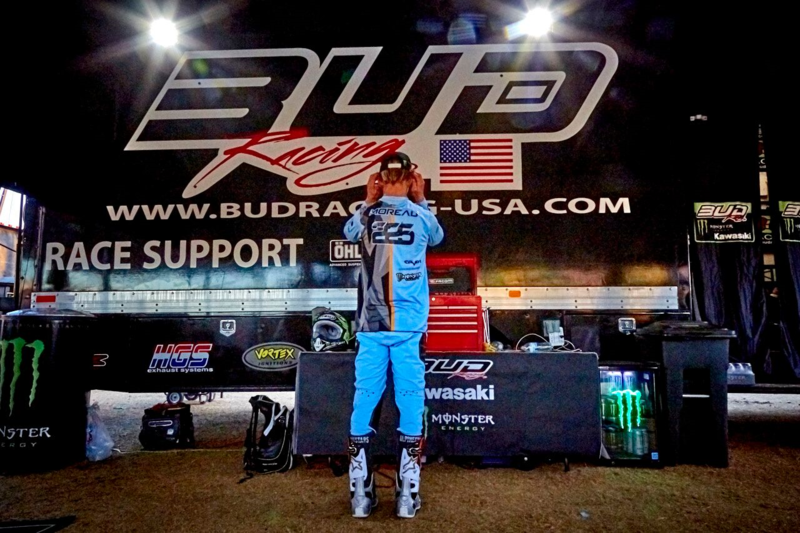 Fifth in the practice session Brian got the holeshot in the first final and scored a top five, and again finished fifth in the main event. 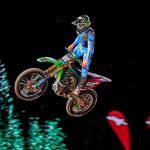 He was not as strong on Sunday, but he scores twice a top eight result to finish the weekend sixth overall. 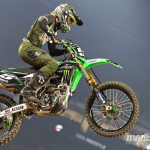 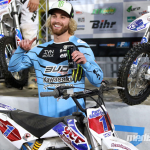 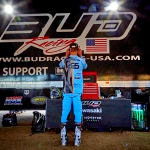 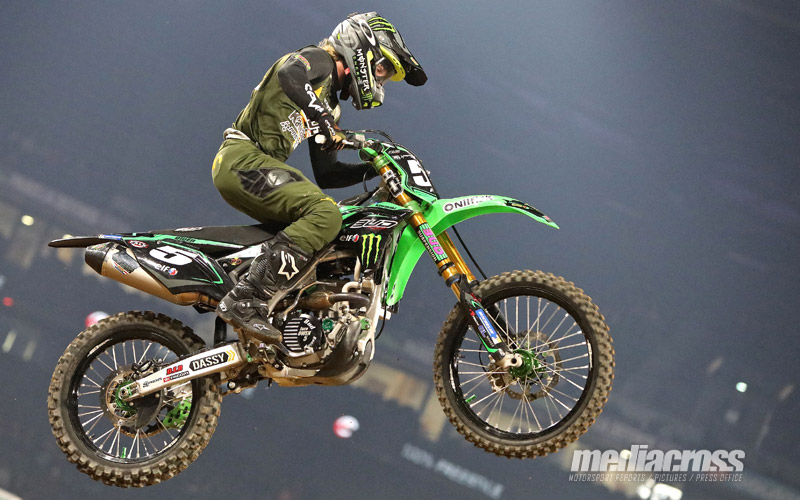 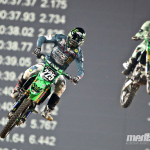 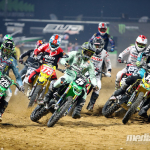 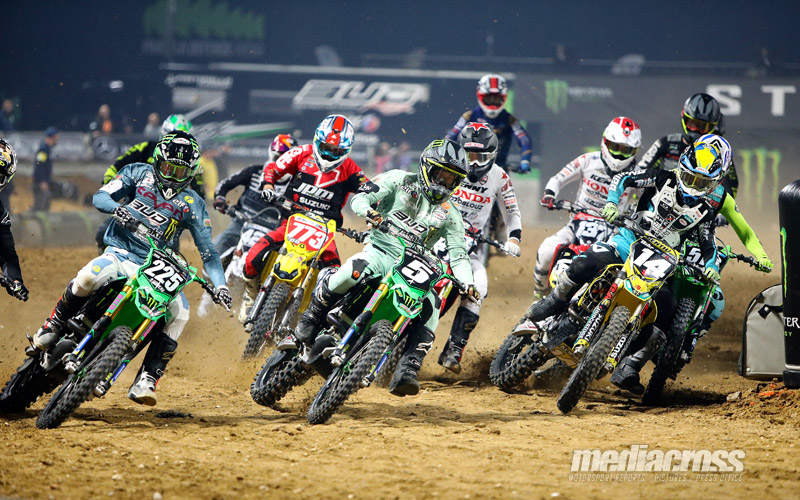 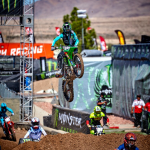 Third rider racing for Monster Bud Racing in Paris Tyler Bowers raced the SX1 class; only eighteen on Saturday, he scored a top ten on Sunday. 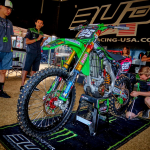 It’s a kind of reward that Stephane Dasse offered to Brian Moreau when he offer the 16 years old French kid to race his first ever official race in the USA soil for the famous Monster energy cup in Las Vegas. 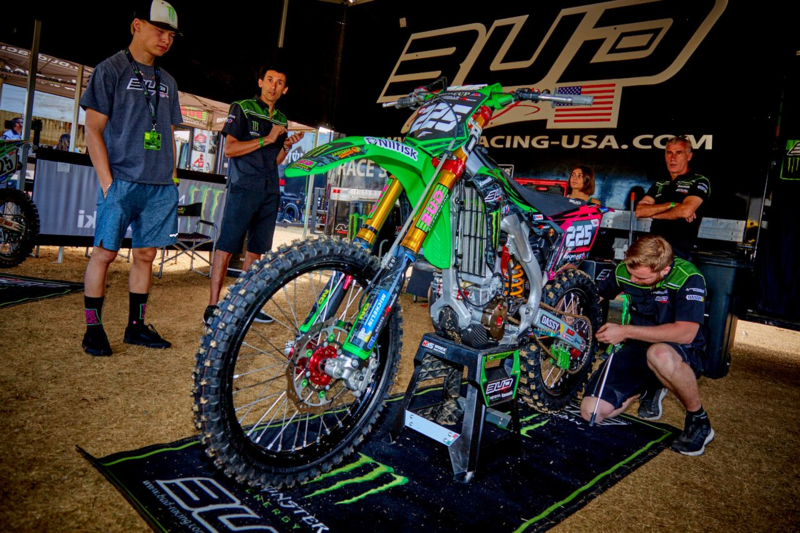 For his first race, the BUD racing Monster Kawasaki rider showed a good speed and adaptation to the US life. 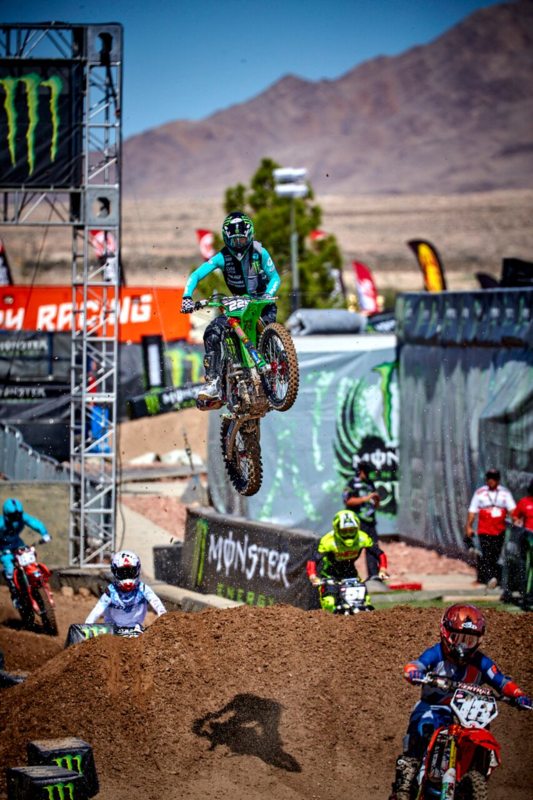 The Monster cup format is very different from the races we are used to do in Europe, and Brian learned a lot this weekend among the best Amateur 250 All star American riders. 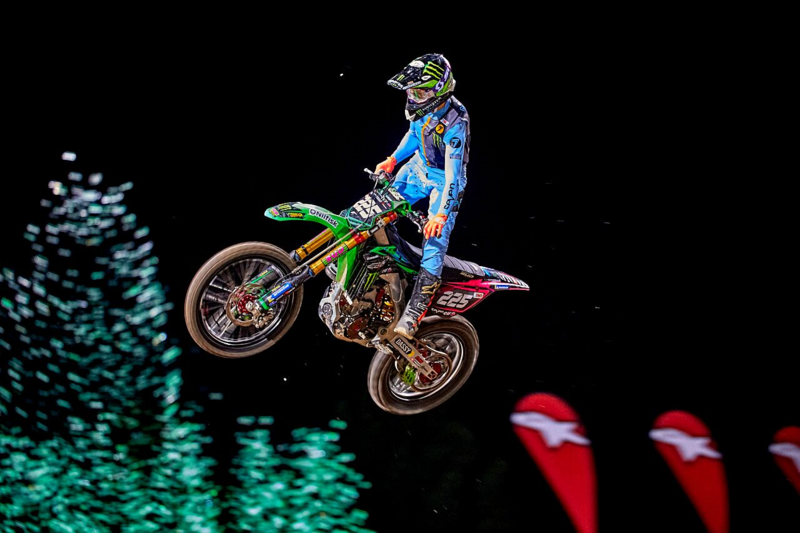 With one free practice and two qualifying sessions during the afternoon and two 6 laps races during the night show. 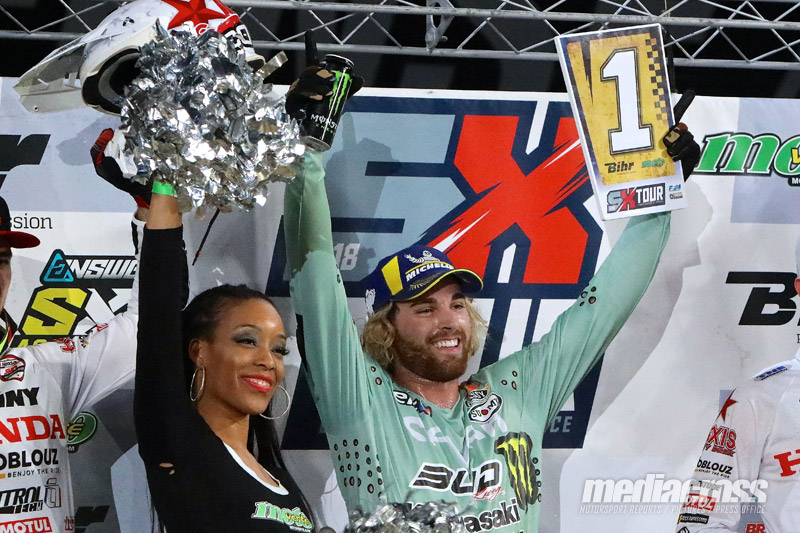 During the afternoon, Brian was at the top for the time practice and posted the fastest qualifying time during the two session combined that will allow Brian to enter in pole position for the first race of the night. 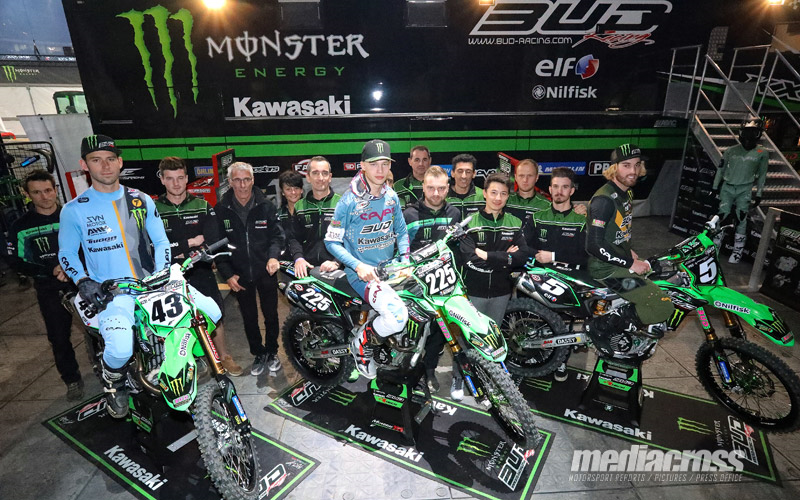 Thank you very much to all the Team sponsors who support us, it’s very important to have you on board !